Swimming Pool Owners, Swimming Pool Builders & Swimming Pool Service, Cleaning & Maintenance Companies utilize CO2 (Carbon Dioxide) Gas to maintain proper pH Balance. The newest technology in Swimming Pool Maintenance is using CO2 Gas instead of Hydrochloric acid to Maintain Swimming Pool pH. Carbon Dioxide (CO2) replaces harsher acids for the alkaline neutralization process. It's safer and cheaper than sulfuric-acid systems, improves controllability, and there's less downtime and no labor to handle chemicals. It also is less corrosive, and easier to handle and store. There are many companies out there selling pH Control Systems for Swimming Pools. 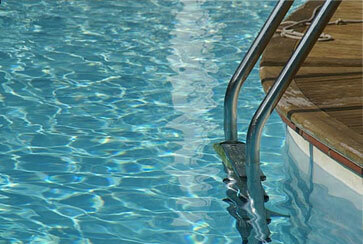 We supply the CO2 Gas, CO2 Tanks and CO2 Cylinders that these Swimming Pool pH Control Systems require. We Deliver directly to your home or business at Tremendous Savings! We currently handle accounts ranging from Backyard Swimming Pools to the largest Municipal Swimming Pools in Dade and Broward Counties. Broward Nelson carries Bulk CO2 Tanks to regulate pH levels in Swimming Pools. These Swimming Pool pH Control Systems use CO2 Gas instead of caustic chemicals to keep your Swimming Pool water crystal clear. Broward Nelson provides Swimming Pool Owners, Swimming Pool Builders & Swimming Pool Cleaning, Service & Maintenance Companies with "One Stop Shopping" for their CO2 Tanks, CO2 Nozzles & CO2 Regulators. CO2 Gas Refills on Customer Owned Cylinders are available while you wait. Broward Nelson Sells and Leases a variety of CO2 Dispensing Equipment. We provide CO2 both High Pressure and Bulk to run CO2 Dispensers. Our service is second-to-none and our drivers are friendly and knowledgeable. Home Pickup and Delivery is available for a small charge additional charge. We believe in "ONE STOP SHOPPING" where one phone call will handle all your Swimming Pool Owners, Swimming Pool Builders & Swimming Pool Service, Cleaning & Maintenance Companies CO2 Dispensing needs!